Although Marx’s concept of ideology has been a subject of considerable discussion, much of the debate has proved to be rather disappointing. There has been no systematic attempt to examine why Marx needed the concept of ideology, why it was an important concept for him and how it related to his views on truth and objectivity. This book, first published in 1982, considers these and other neglected questions. It explains why Marx continued to use the term ideology throughout his life to mean both idealism and apologia and traces the complex ways in which, according to Marx, such talented writers as Hegel became apologists. 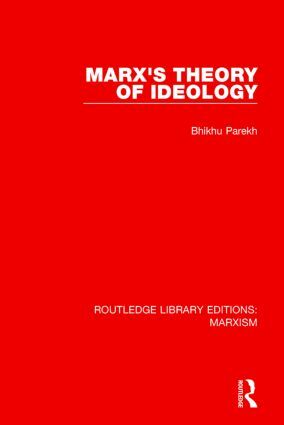 In conclusion the book outlines the lessons Marx learnt from his investigations into the nature and mechanism of ideology and discusses his theories of objectivity and truth.